The growing student loan debt burden is a drag on the US economy, which is one reason why the public deserves more information about what happens with students’ loans once they graduate. For instance, colleges are not required to report how much debt their graduates have. More than half of all public and nonprofit bachelor’s degree-granting four-year colleges voluntarily offer their data, but hundreds of schools still decline to provide the information, and almost no for-profit colleges give up their debt figures voluntarily. Although the bulk of the outstanding debt is borne by undergraduates, it is a growing problem for graduate students. The U.S. Department of Education doesn’t even publish default rates for loans to graduate students. That lack of transparency is worrying on several levels, especially since trends among graduate students are starting to look like those for undergraduates, according to an Oct. 18 report by the Brookings Institution. Borrowers for graduate school have historically been considered less risky than borrowers for undergraduate degree programs, so the federal government has applied looser oversight. But policies that are more generous in terms of how much and when graduate students can borrow appear to have contributed to an increase in their loan burdens and worsening repayment rates, creating a situation similar to undergraduate borrowers. That fact “is troubling, not only because of the sheer dollar amounts involved, but also because there is relatively less publicity and thus pressure to address these group of borrowers,” Brookings wrote. The concern is well placed. The average annual amount that graduate students are borrowing has nearly doubled over the past 30 years. There isn’t standardized data on the subject, but it appears loan repayment rates among graduate borrowers are worsening. That’s a problem not just for those trying to make a living but for taxpayers who are subsidizing the loans. 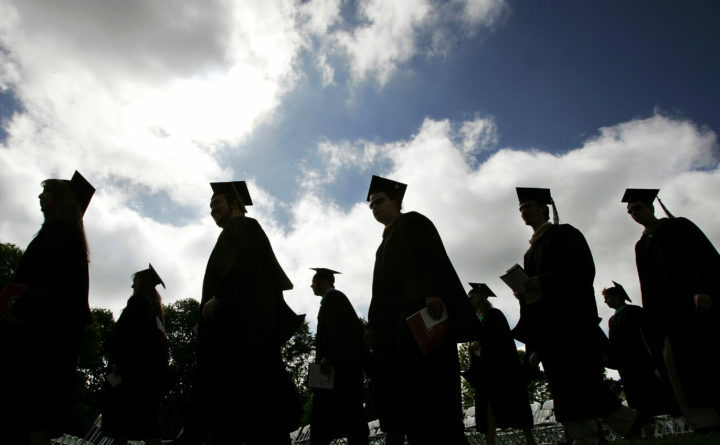 More graduate students are attending for-profit schools. For-profit graduate school borrowers are more likely to default on their loans, and default rates have been increasing, according to an analysis Brookings did using a closed student loan data system. Some graduate schools are more successful than others at sending their students on to successful careers, meaning they are more likely to repay their loans. There is wide variation among institutions. All of this isn’t to say that low-income students shouldn’t have access to loans, just that they shouldn’t have to choose between taking on debt they can’t repay and not getting a degree. It’s possible a better system would put lower quality schools on notice, such as by tying financial incentives to how well their students repay their loans. There is also, clearly, a greater need for more information on what happens once students take on their debt. Improvements in these loan systems should be made to reduce risk for taxpayers while ensuring people get the education they are sacrificing so much to seek.